I woke up today feeling like I had been beaten in my sleep. I got up limping through the house. Not a pretty picture. I put on my foot sleeves and the ones for my knees and started cleaning. It took about an hour and I started feeling some relief. I knew if I kept going I would feel better. I start off with aches, pains, and stiffness then by evening I’m feeling normal. This is almost a everyday thing. Main thing is I don’t give up. I’ve ate very good today! I had a salad for lunch, a hamburger patty by itself for dinner, and I made protein powder brownies. I have everything in the green, and I still have calories left for a snack. I’m thinking popcorn, or something else low in fat. 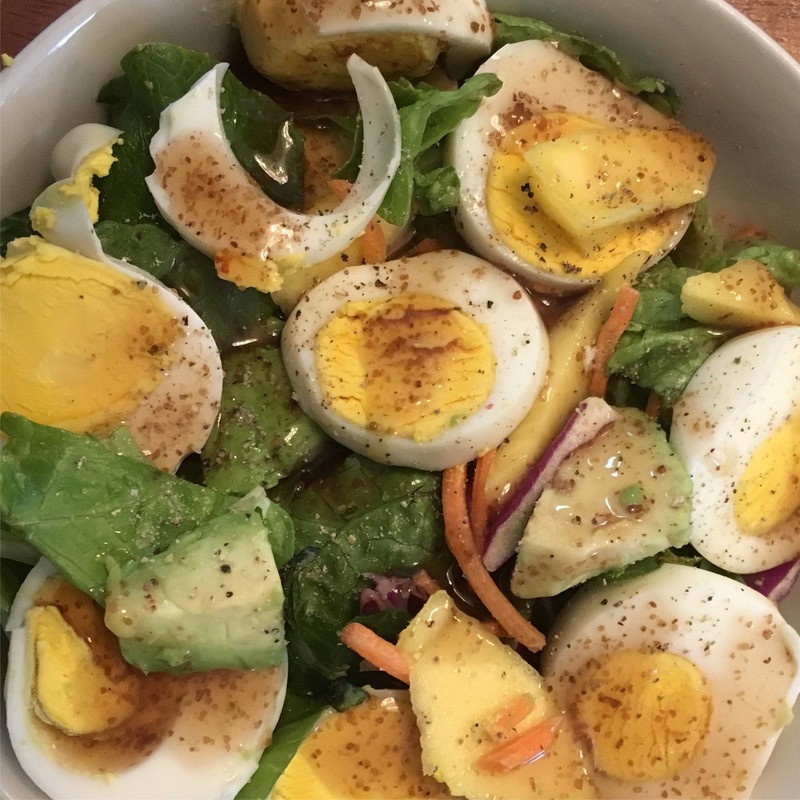 I had avocado and eggs in my salad and after eating the hamburger patty, I don’t have many fat grams left. My goal is not to go over the next three weeks. I have in almost 15,000 steps with 89 active minutes. I had Zumba tonight and I practiced some before leaving.